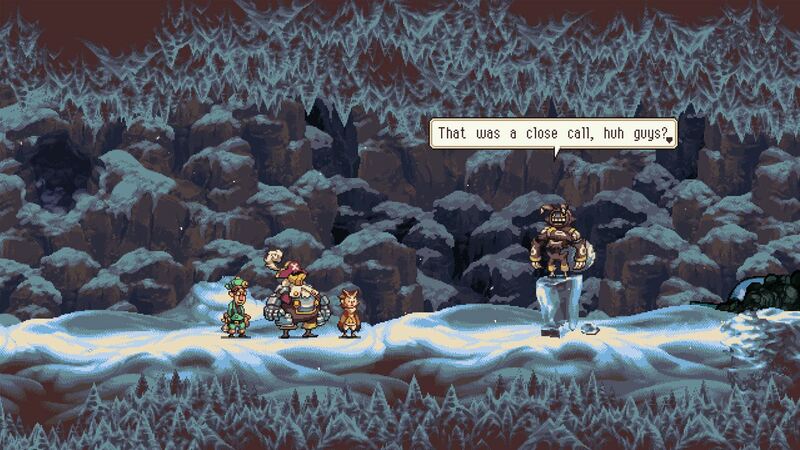 Owlboy reaffirmed my belief that pixel-art games still have a place in the modern world of gaming. Of course, Owlboy isn’t the first indie title to revitalise the pixel-art style of game this generation, but it sure is one of the titles that does it best. This is a homage to games of the SNES and Genesis era, but it employs greater technological bouts than those consoles were ever capable of. Released in 2016 on PC to critical acclaim, the game now arrives on Xbox One and here’s why you shouldn’t overlook this charming indie title. For the developers, the game making its way to console might have seemed a distant dream. After all, it first came about in 2007 when the team behind Owlboy, D-pad Studio, initially created the concept for what would become Owlboy. The real-life story of a small-team coming together to overcome obstacles and to make up for each other’s shortcomings echoes into the game. You play as Otus, a mute Owl who has to follow in the footsteps of the mighty owls. You soon find that Otus is not quite up to the task in the same way as his predecessors. Much like the bonds forged in the development of this game, it will be imperative for Otus to forge bonds with his friends in order to fulfil his duties. When pirate ships attack the village under the Owls’ protection, your adventure begins. 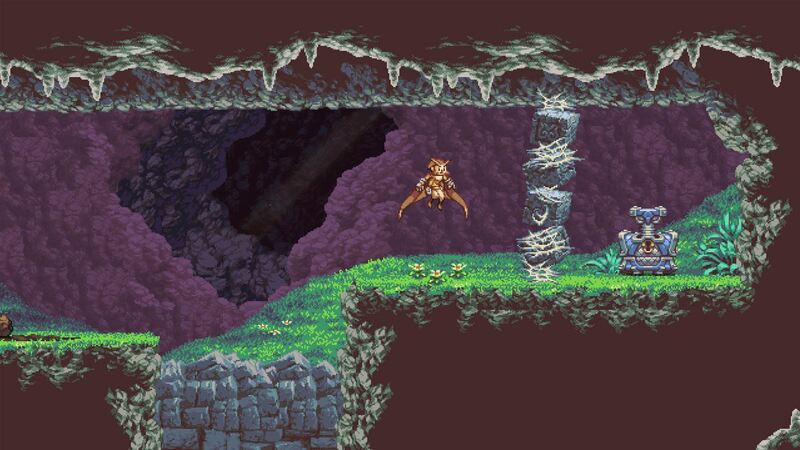 The story of Owlboy is firmly set in its own world. You’re not the ‘chosen one’ or a warrior. Instead, Otus is, quite bluntly, a failing student. This story doesn’t follow the typical formula. However, this makes Otus a very relatable character. He’s not perfect and he makes mistakes, but that’s something every single human being can relate to. As you progress there is one theme that emanates loud and clear and Otus himself exudes; when you fail in life, you must not let it knock you down. Being a Zelda/Metroid like game, you are going to make mistakes in Owlboy and those mistakes will result in death but the game, via Otus and the ensemble he acquires around him, teaches you that this is merely an obstacle to overcome. At the start of Owlboy you are greeted by a beautifully designed title screen with a charming soundtrack to match it. First impressions might not be everything, but Owlboy certainly delivers a good one right away. This title screen alone gives you a glimpse at what you can expect in Owlboy; beautifully designed environments with a fitting soundtrack. Back in the days of the SNES and Genesis era, an introduction like this simply wouldn’t have been possible and that attests to what this game does well – blending that old-school nostalgia with the modern-day expectations of video games. Whilst there aren’t any objectives, mission markers, or anything of that sort to direct you in your quest – you will quickly realise that any such attempt to implement these in the game would be obstructive. One of Owlboy’s greatest assets is the freedom it affords you to explore its beautiful environments. Having said that, the game does feature a level-to-level system that means you will explore until you come across an interaction that points you to the next area. Exploring is to your benefit as you can find hidden areas and are rewarded with chests. 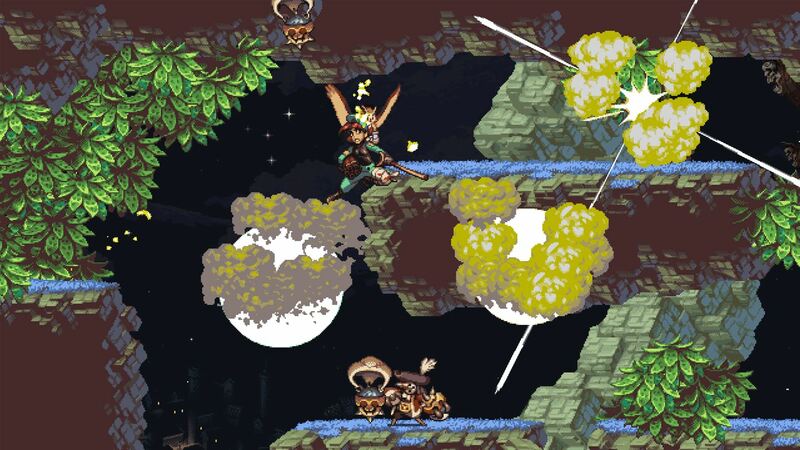 If you’re a gamer that likes to stray from the beaten path, Owlboy’s levels offer up plenty of opportunities to explore to your hearts content. The platforming in Owlboy works very well and complements Otus’ abilities splendidly. In his offensive abilities, Otus is capable of a rather standard spinning attack but this is the limit of his offensive abilities; this is again a testament to the theme that Otus will need to team-up with the friends he gains along the way. When you gain more sidekicks in your posse, switching between them is as simple as the pressing of a button, with each having a unique personality and abilities. You’ll often find you will need to quickly switch between different sidekicks in one single area in order to pass through them. For instance, when I faced the first boss in the game I died multiple times before honing my reflexes to switch at the right times. The first companion you add to your crew is Geddy, Otus’s best friend. Geddy is your go-to offensive option thanks to his pistol which fires projectiles at enemies with no cool-down. This pistol doubles up by also being a tool to destroy barriers obstructing your path. His character is crafted well by the developers; you get to see multiple layers to Geddy, who’s one of the main side characters, but the attention he gets merges the lines between main characters and side characters, he feels right at the centre of the action alongside Otus. You also team up with Alphonse, a pirate defector who’s cannon can destroy the bigger obstacles that Geddy’s pistol cannot breach. Otus and his friends later make an alliance with Twig, a mischievous spider who, at the start of the game, causes a lot of mischief for Otus and his friends. To complement the platforming elements of the game, there are collectibles in the form of coins that can be gathered in various ways. Primarily, there are chests hidden in every area that encourage you to go and explore in order to gain the rewards of these chests. Collecting coins allows you to purchase upgrades and such, all of which adds a substantive layer to the gameplay experience. There are others to find too, so it’s great to see the developers actively provide players with a reason to explore because playing Owlboy as such truly is the best way to experience this gem. One of Owlboy’s greatest assets is the beautiful soundtrack that accompanies you as you enjoy this charming adventure. In the beginning of the game, the orchestral music that Owlboy offers is simply a joy to listen to. Whilst the soundtrack begins quite melancholic, the battle cues and dramatic scenes are greatly emphasised by the backing of this soundtrack. The soundtrack is ultimately very heartwarming and plays a crucial part in bringing together the entire adventure. In conclusion, Owlboy is a game a decade in the making and it’s immediately evident that the developers poured their hearts and souls into this game. The end product is a game that will keep you glued to the screen. With its gorgeous pixel-art visuals, the charming cast of characters, the enchanting soundtrack, and the smooth platforming, Owlboy certainly delivers an engaging experience from beginning to end. 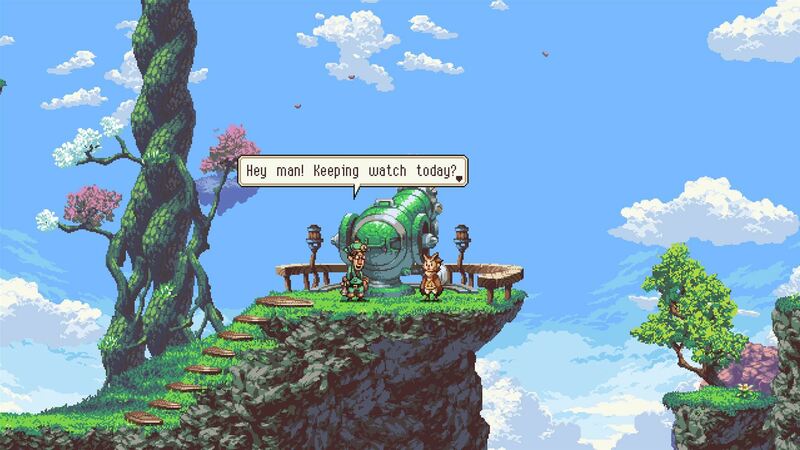 If you’re looking to scratch that nostalgic itch or even if it’s your first time jumping into a pixel art style game like this, Owlboy is a game you will not regret playing.